When you are in the market for a mobile cooling unit, consider Alpha Energy Solutions as a reliable source with access to the best brands in the business. Portable cooling equipment is helpful in several different sectors. The units can provide a cost-effective alternative while offering excellent climate control. 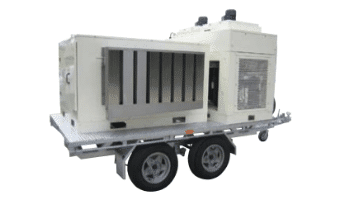 Locating mobile cooling equipment online can be an overwhelming task because there are numerous models available. When it comes to an investment in cooling equipment, it is always best to do your research and deal only with reputable providers. Alpha Energy Solutions can provide not only a wide selection of equipment but service to backup your units as well. You can expect to receive selection, quality equipment and excellent service when you work with our experienced technicians. In fact, we deliver over 2000 years of experience in the field. Moreover, we work with units of all capacities. Finding a resource for mobile cooling has never been easier. Before settling on a piece of your equipment, consider your budget and how much you are willing to spend. Keeping your budget in mind will help to narrow down some of the options available while eliminating unnecessary features that may impact your budget. One of the most important considerations that you should bear in mind is your application. Mobile cooling units can be used in several different situations to include emergency shelters, outdoor events, temporary work sites and building projects. Cooling machines do vary in size and capacity so knowing what your specifications are ahead of time will ensure that you are gathering research on the exact equipment that will fill your need. Your equipment may require maintenance regardless of how long you plan to employ the machines. Alpha Energy Solutions does offer a selection on Preventative Maintenance Programs which can be used alongside your equipment. The programs can be customized to your equipment and suited to your budget. Learn more about Preventative Maintenance Programs with Alpha Energy Solutions, Contact us.